I skipped one whole year (2 semesters) of Hebrew language in my University after studying with you for 3 weeks!!! Martha Moody, famous writer and Dr. Martin Jacob, Daiton, U.S.A. Speak Hebrew from the very first day. Read and write Hebrew within only 3 days!!! Learn by a practical and experiential approach. Practice your Hebrew skills and Learn much more. Speak Hebrew all day long. 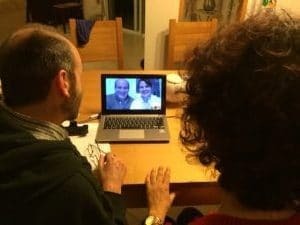 Hebrew online course with Home Ulpan, Improve and practice your Hebrew Online. Learn Hebrew online with your selippers. 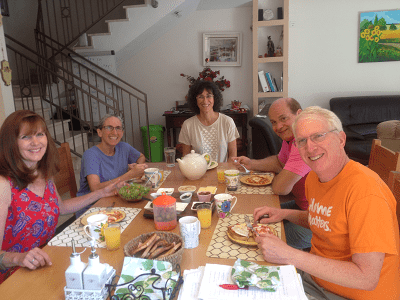 New Biblical Hebrew course with Home Ulpan Read and Understand the Bible in Hebrew. 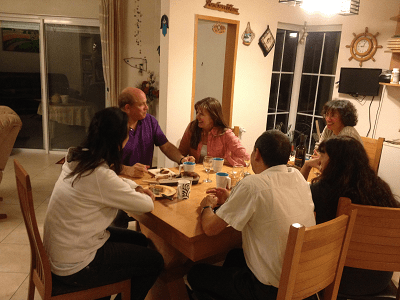 Families and kids can study Hebrew and also be accommodated by an authentic Israeli Family. 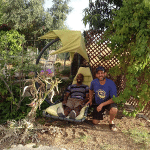 Shlomit Chaushu is the founder and director of Home Ulpan in Israel. 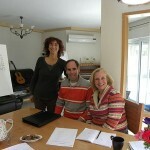 Home Ulpan offers a unique and dynamic Hebrew intensive language program ( Ulpan ) through our immersion format. 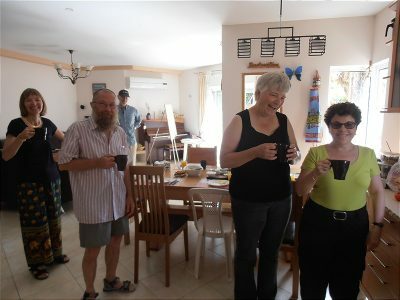 Home Ulpan students from all Hebrew levels are able to learn Hebrew and live in the home of their Hebrew teacher in Israel. 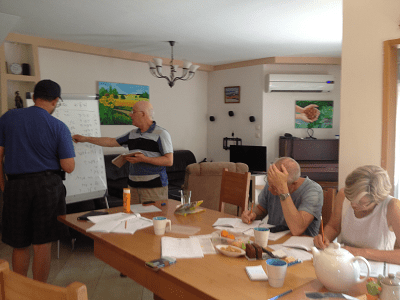 After over 10 successful years of instructing small Ulpan in Israel classes of six or fewer students in Israel, we have developed some fun and rewarding Hebrew lesson plans. This program have been very effective for improving the fluency of Hebrew language students. Shlomit Chaushu, the founder, and director was born in Haifa Israel. After serving in the IDF intelligence service, Shlomit received a B A. in Hebrew language and Arabic at the Haifa University. 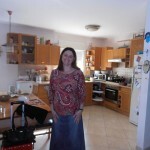 She is a Hebrew teacher for Ulpan students in Israel with 30 years of experience. 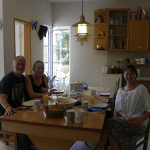 She has taught the Hebrew language in various settings, including at the Ulpans of the Jewish Agency, with SELA, (Ulpan students from abroad and etc.) 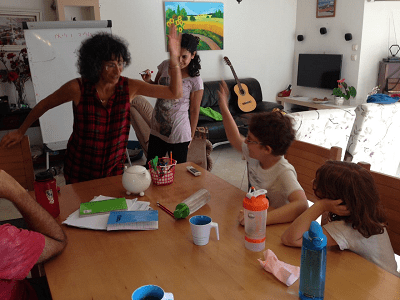 The last few years she has taught as an instructor of Hebrew language in the International School of Haifa University, at the Technion – Israel Institute of Technology, and at the Open University. 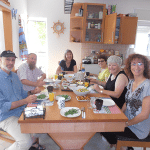 Home Ulpan in Israel – learn Hebrew program is located in the heart of the Jezreel valley “North Israel”. It is close to a new street mall, few supermarkets, coffee shops and restaurants, some are famous all over Israel, and some of the tasty ice cream “legenda”, are open all night long. It’s located 30 min from Haifa, Nazareth, Tiberius. The Ulpan excellent location means you are never more than a short walk away from all the major attractions in the area.